I was very pleased with this Chasuble. Very good quality. 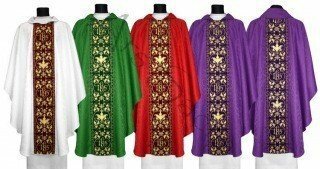 My nephew is being ordained as a priest and I offered to buy him a chasuble. Well he recommended you because you were more accessible and the time frame was the best. 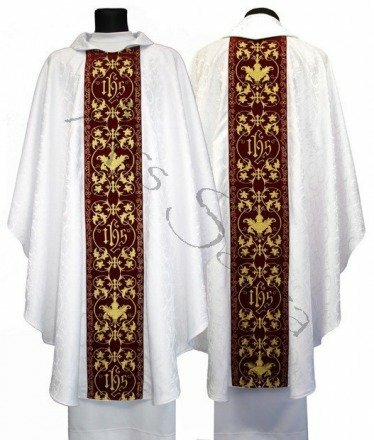 Wow I received my order and I was shocked to see the beautiful quality and the work that you provide to your chasubles. I will sure use you again in the future if I have to order another one for him. Thank you very much. 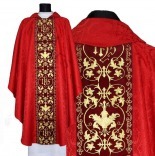 This is a well designed and executed chasuble. You will not be able to find better vestments for this price.